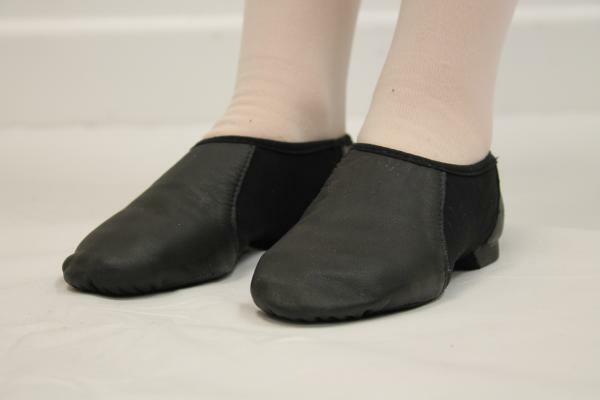 All children participating in First Steps classes can wear uniform set for pre-primary or feel free to accessorize from their dressing up box at home, but they must all wear leather ballet shoes. Funky Footsteps may either be bare footed or in ballet shoes - no socks without shoes please because we want to be sure they won't slip. 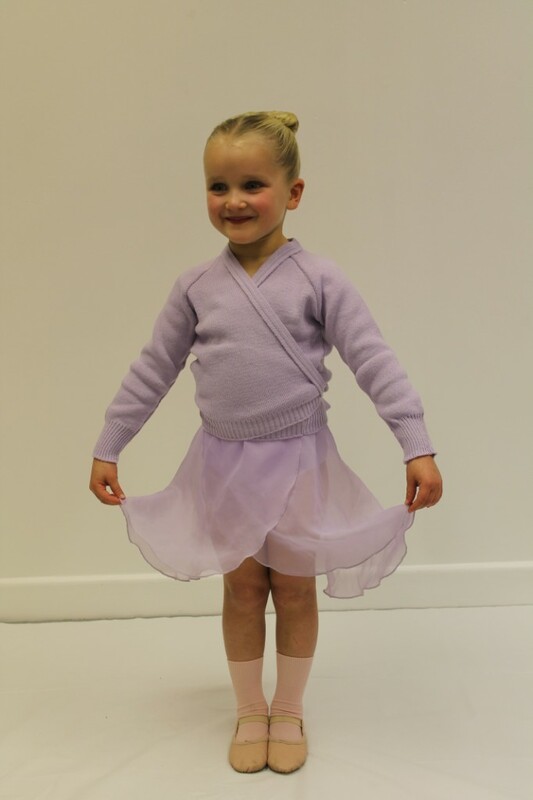 Girls - Lilac leotard and skirt, pink socks, pink* leather full-sole ballet shoes with elastic. 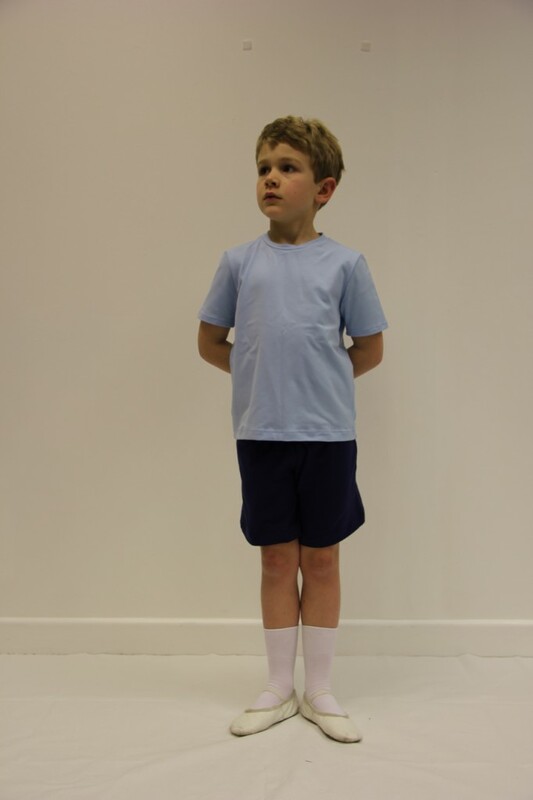 Boys - Pale blue t-shirt, navy shorts, white socks and leather full-sole ballet shoes with elastic. Girls - Lavender leotard & belt, pink socks, pink tights (optional at grade 3), pink* leather full-sole ballet shoes with elastic, character shoes (low heel for Grade 1-2, Cuban heel for Grade 3 +) and character skirt. 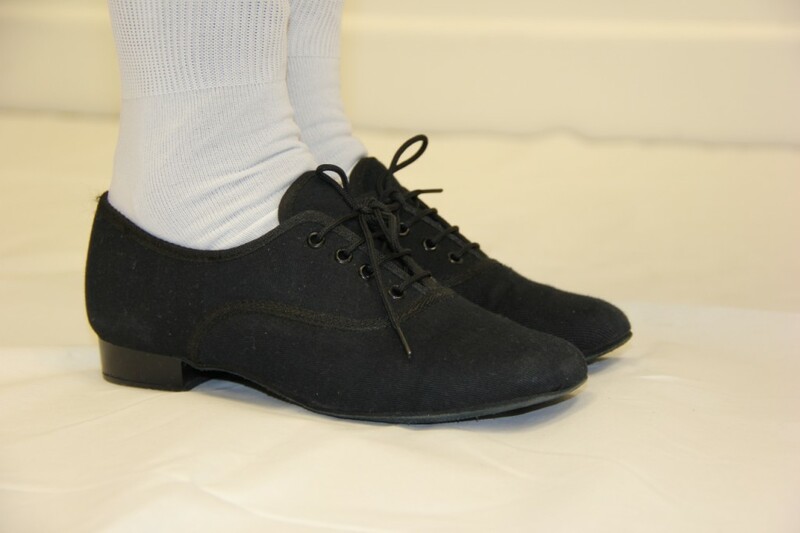 Boys - White t-shirt or leotard, navy leggings, white socks & leather full-sole ballet shoes with elastic, character shoes. 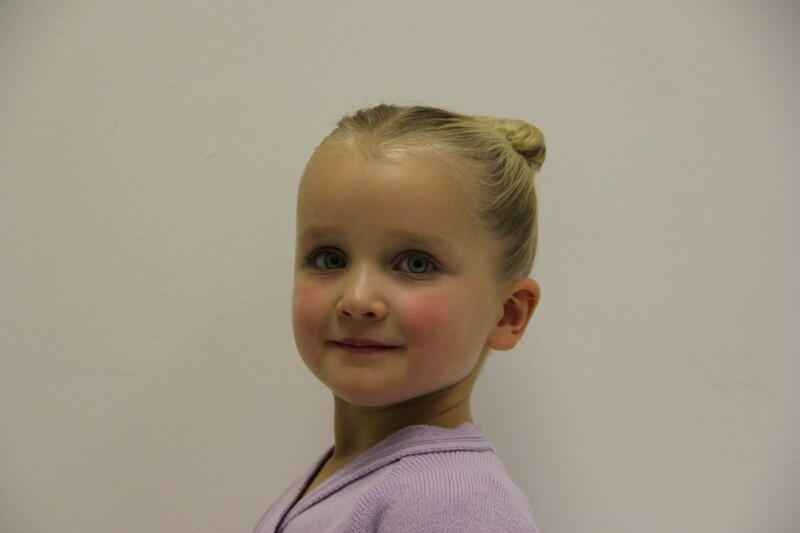 Girls - Mulberry or teal sleeveless leotard & belt (I have a slight preference for the pinch front as it tends to be more flattering to the body shape at this age), pink* ballet tights, pink* leather full-sole pink leather ballet shoes with elastic, character shoes, character skirt. Light or Medium weight TheraBand. Boys - White t-shirt or leotard, navy leggings, white socks & leather full-sole shoes with elastic, character shoes. Girls - Coloured camisole strap leotard with matching elastic waist belt - this can be any colour. 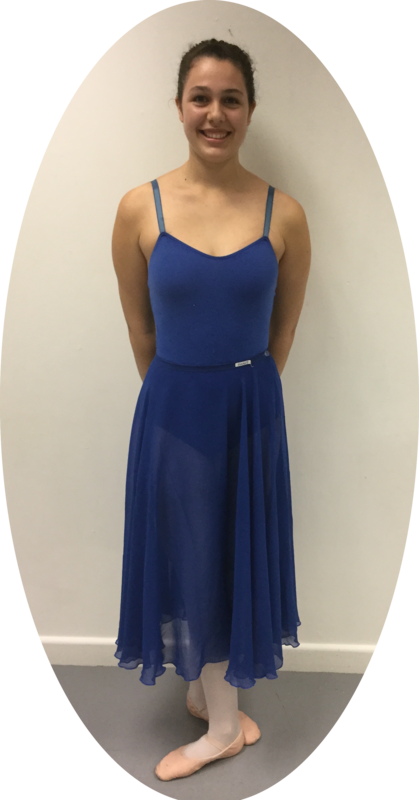 If a thicker strap is absolutely necessary, then choose the same style as for Grade 4/5 and a matching G6-8 chiffon skirt in any colour, pink* transition ballet tights, pink* leather ballet shoes with elastic, character skirt, character shoes. Light or Medium weight TheraBand. Boys - White t-shirt or leotard, navy leggings, white socks & leather ballet shoes with elastic, character shoes. All adults must wear ballet shoes. Adults are not required to wear 'uniform' but should be in suitable clothing, which is stretchy, comfortable and which allows the teacher to see the body clearly. Leotard & tights/leggings are best, but comfort and confidence are of greater importance. Please speak to your teacher for advice. Hair should be tied back and off the face & neck. All adults must wear appropriate footwear i.e. 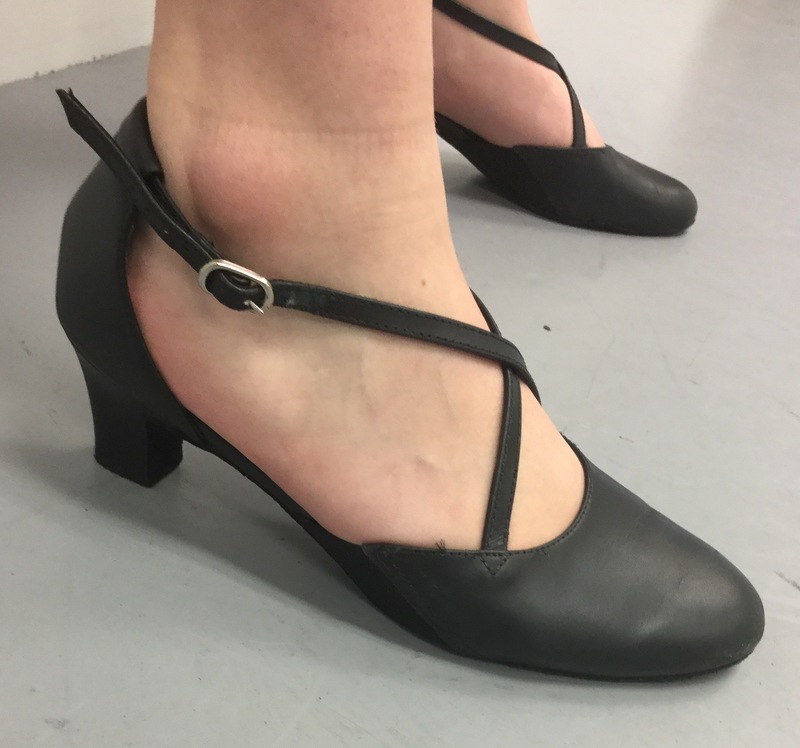 tap shoes. Adults are not required to wear 'uniform' but should be in suitable clothing, which is stretchy, comfortable and which allows the teacher to see the body clearly - i.e. no jeans and big sweaters! Hair should be tied back and off the face. All adults must wear appropriate dance footwear, which includes: bare feet, foot thongs or jazz shoes. 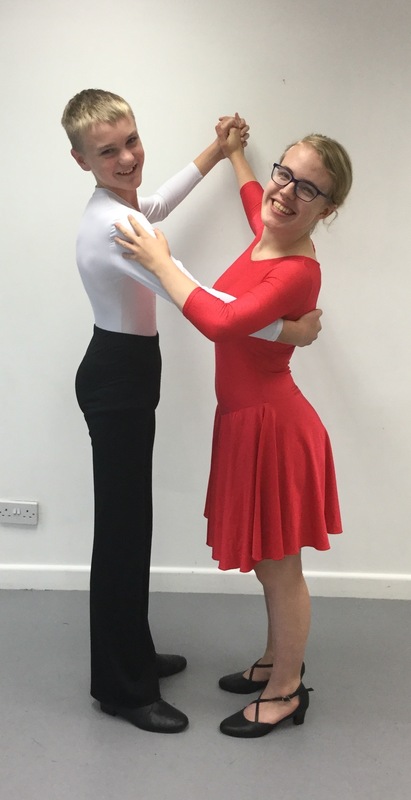 Adults are not required to wear 'uniform' but should be in suitable clothing, which is stretchy, comfortable and well fitted, allowing the teacher to see the body clearly and the student a very wide range of movement. Hair should be tied back and off the face. Boys: Black tracksuit trousers/jogging bottoms (cuffed) & Black Dance Trainers, CoD t-shirt or CoD 3/4 length T-shirt. ** Please note that long hair must be tied away from the face and off the neck for class. Students attending with their hair down or in their face will be asked to do their hair or sit out and watch, as it is dangerous and unhealthy to train with hair all over the place. 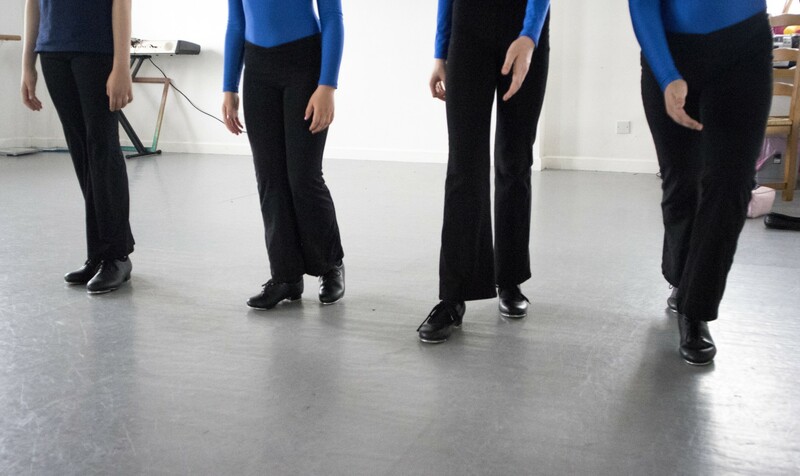 It is really important that dance students learn about warming up and Colling down in ways that protect and care for their bodies, given the exercise that they do. These are the same principles they will learn at school in sports lessons (I hope), but we are particularly careful as dancers.